Hey everybody! We hope you had a great Easter break! This week will be displaying our poster designs from the book “The Power of Habit” by Charles Duhigg. 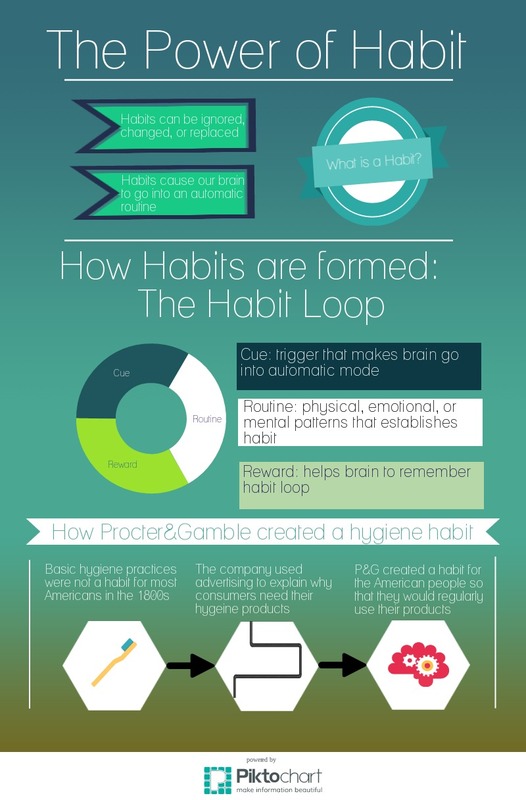 This book explores how our brain forms habits and how they can be applied in advertising. Each day we will be posting different posters from each chapter so that you can get a visual understanding of what each chapter is about. 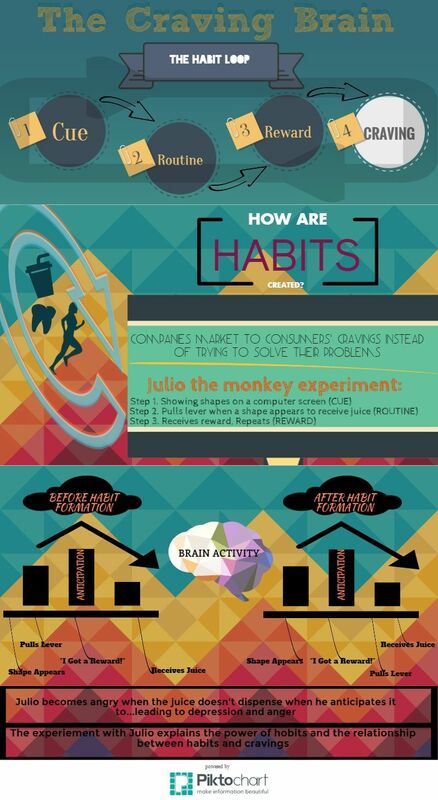 Hope you enjoy learning this week about the power of habit! Be on the look out the rest of the week for more chapters! Advertising to form habits I totally understand. After hearing WOMM regarding everyone’s experiences and viewing countless commercials for Planet Fitness I decided to change my habits. I decided to stop being a couch potato and replace my habit of watching TV daily with some exercise. I was really intrigued with their judgment free zone advertising and thought it was inspiring for people who had worries and concerns. I started forming a new habit loop and was craving my new habit while also gaining much more pleasure than just sitting around. Planet Fitness does a great job of trying to promote and advertise for people who may need to form some alternative and healthier habits. 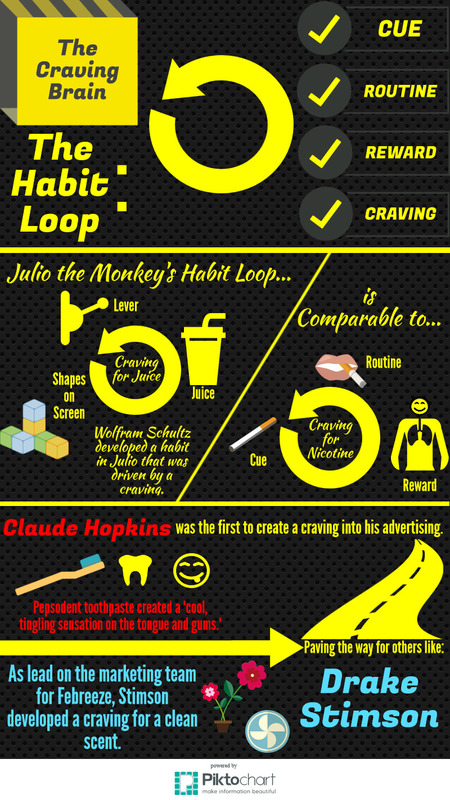 These poster are accurate, at least n regards to how I created this new habit and why I am now craving for it and loving the true judgment free zone I was promised and have received.